While the concerns of a dog owner blog has gone somewhat viral, getting into the Eastern Courier this week and being bought to the attention of other elected members our staff have been working away to find solutions after my discussions with them. Dog Owners and non Dog Owners alike should be happy with what is being planned. Having said that Goodwood Oval is far from being potentially a dump zone as some may be concerned is happening It is actually in good condition with a recent investigation of the grounds showing up only two doggy poos. These actions will help to keep it that way; council being proactive and committing resources rather than relying on dog owners to take full responsibility. • New stickers are being produced, which will be affixed to the dispensers which will note the 2 bag limit, as well as provide our call centre phone number in the event a community member finds the dispensers empty. • We will be introducing one larger capacity unit at the popular pooch locations of Goodwood Oval, Orphanage Park and Unley Oval (capacity of up to 900 bags with no handles). • We are relocating the dispensers at Goodwood Oval, as at present they are seem too close together. This will give a wider distribution and improved access to the bags. • Our rangers will monitor the dispensers on their daily rounds and will replenish empty dispensers as required. • Our rangers will also continue to monitor the cleanliness of Goodwood Oval and respond when they perceive there is an issue. • New stock of bags will be “handle-less”, but of course we will be exhausting our current supply, which is expected to run out in January. Dog Owners be advised that Council’s administration has responded to my requests to look into the “Poo bag” concerns raised by a local resident recently. This follows up my blog post on this topic back on the 7th of this month. Administration have confirmed that the new parks litter bin contract, includes the maintenance and replenishment the dispensers. As per the contract, this occurs on Mondays and Thursdays and includes all dispensers across the city. The biggest concern with the doggie bags, noting the dispenser was empty recently on a Thursday afternoon, is that we believe (and have observed) people taking multiple bags from the dispensers, often over 10 at a time, rather than using them as needed. I understand from the team that this is a key reason that we may run low. This is despite the fact the dispensers are signed with a limit of 1-2 bags at time. And these bags are not cheap – 120 rolls per month are issued across the city at a cost of approximately $1,160 per month ($13,920 per annum). 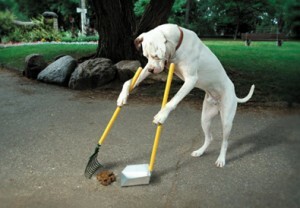 I think we have a group of dog owners who take their responsibilities for keeping public space clean very seriously. Unfortunately there are some who don’t understand there are others who wish to share the service that Council provides. These people I think feel that the dispensers are there for their personal use and they will take way more than they are entitled too. It is likely also that there are people who might think that taking say 10 at a time rather than 2 they are being responsible whereas what they are doing is depleting the available supply sooner and therefore preventing others from using the service. This is now being debated by some elected members and also staff with some ideas being we issue a nominated number of bags with the registration of the dogs, provide extra containers, replenish them more often being some of the suggestions. 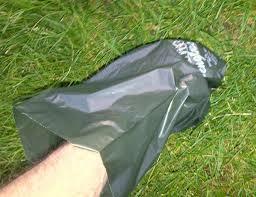 Not that long ago we discussed maybe getting the bags sponsored, as a way of defraying the cost. It has also been suggested we simply leave it to dog owners to do the right thing and supply their own. I do. I have communicated with our General Manager Community and I am thinking that it may be prudent for us (Council) to take this out to the people, invite dog owners for any suggestion how we can better help them manage the situation. Over the last few weeks, on numerous occasions at the Goodwood Oval, I’ve found myself caught short begging and borrowing bags from fellow dog walkers in order to clean up after my own dogs. Late last week, again, short of the required clean up bags, I approached a green keeper at the oval thinking he’d be able to replenish the bag supply. It was then that I was advised that the job of providing the bags has been outsourced to a contractor. Fortunately, the green keeper found a bag in his vehicle he could give me as a back-up. This afternoon, again all the bag dispensers were empty. Worse still, there was dog poo dotted all around the oval. I suspect this is symptomatic of dog walkers, who with the best of intentions, finding that there are no clean up bags, are leaving their mess on the oval. As a dog owner, I feel responsible for dog mess being left on the oval, even if it isn’t my dog that’s personally responsible. While not overjoyed by the task, providing there are bags, I’m prepared to pick up after my own dog and the occasional whoopsie left by other dogs. I can’t do this if the bag dispenser is regularly empty. A joke was made that this is a conspiracy by council to pit the sports club users against the dog walkers. I’m sure this isn’t true, as plenty of sports club users are also dog owners. If council is committed to dog owners cleaning up after their dogs, support by maintaining well stocked clean up bags is a positive way of achieving this. Memo to all dog owners …. and those avoiding the land mines I have sought information from management to clarify what our current replenishment process is, and to examine how we can ensure it is working as it should.